In true Get Staffed UK style, we’ve taken the opportunity to applaud our Go-Getters for all the amazing things we’ve achieved over our first year in business! Our journey started with Tom and Tom, hiring some shared office space in Cotton Court and a core team of staff who shared their vision. Tom’s vision was to revolutionise the industry, breaking down the barriers which it faced. So, we started upskilling hospitality professionals. We provide full inductions so that individuals know exactly what to expect, which is then followed by a hospitality skills session. The Go-Getter is born. Our Go-Getters work hard on every shift, they know exactly what is expected of them and how to delivery exceptional service. Our employees are motivated and incentivised to work hard at every shift, and we ensure that they are happy in their roles by providing opportunities for them to feedback to us. WE HAVE PROMOTED 4 SENIOR EVENT MANAGERS – Shout out to Marty, Nathan, Sean & Tyler! 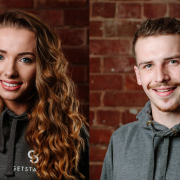 WE HAVE PROMOTED 4 EVENT MANAGERS – Shout out to Charlie, Zoe, Trent & Fitz! WE HAVE PROMOTED 11 TRAINEE EVENT MANAGERS – Congratulations Natalie, Matthew, Matty, Chantelle, Georgia, Todd, Max, Joey, Holly, DK & Alice! We’ve also moved into our own private office at Cotton Court and we now have almost 2000. In our first year we have covered so many hours across over 50 venues and we’re ready to take the company to new heights in our second year of business. Look out for our birthday celebrations, which will happen as soon as we have a couple of hours where we can get all the team in one place! http://wp.freedomofcreation.co.uk/getstaffed/wp-content/uploads/sites/116/2018/05/IMG_3179-1.jpg 1199 1600 georgie http://wp.freedomofcreation.co.uk/getstaffed/wp-content/uploads/sites/116/2016/08/Get-Staffed-Lrg-300x200.png georgie2018-05-23 11:05:002018-07-30 11:25:38GET STAFFED TURNS 1! The BRAND NEW “ICON” ride is launched for the very first time this week at Blackpool Pleasure and we’re over the moon to be providing staff for the grand opening. The £16.25 million ride includes copper gold carriages, crafted using the finest German steel and using state-of-the-art engineering reaches speeds of a whopping 85km. Speaking on the significant moment, Amanda Thompson OBE, Managing Director at Blackpool Pleasure Beach, said: “We have been on an incredible journey building this rollercoaster, seeing its towering presence on the park and entwining with some of our most popular rides, it really has been epic. Nick Thompson, Deputy Managing Director of Blackpool Pleasure Beach adds; “Seeing ICON’s first run has been fantastic, it’s so exciting to see the carriages race through the tracks and meet its new heights. This is the UKs first double launch rollercoaster, our team are very excited to be part of the grand opening and welcoming the VIPs invited down for the official launch dates. We caught up with Chantelle, Trainee Event Manager about her journey. As a second year policing and criminal investigation student at UCLAN, Chantelle is pretty busy, but has been working with the Get Staffed family since September 2017. 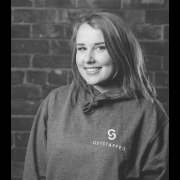 One of Chantelle’s main goals is to become an Event Manager for Get Staffed, so we’re pleased to announce that Chantelle is one of our new Trainee Event Management team and we’re extremely happy to have her on the team. Working with Get Staffed UK has taken Chantelle out of her comfort zone and boosted her confidence. She loves working with people and helping people and Get Staffed gives Chantelle the opportunity to deal with different types of people on a day to day basis. Chantelle is organised, great at motivating others and we’ve been quite amazed at how she manages to work to the best of her ability on very little sleep. The perks of the hospitality industry. Whilst Chantelle believes she needs to work on her stress levels, we think that this spurs her to do the best job she can and allows her to work efficiently. Favourite drink – Cherry Lucozade! Likes – Sleep & her dog, Ella! Dislikes – People snoring & early mornings! This week, we’ve had a very exciting week and marked another milestone in our Get Staffed family calendar. We have promoted 10 Go-Getters to Trainee Event Managers and employed another Trainee Event Manager externally! Joey Bower, Natalie Milton, DK, Todd Isaacs, Matt Forshaw, Alice Kinsella, Matty Allen, Holly Madely, Chantelle Fidmont, Georgia Exley and Max McShane. These members of the team have been through our training programmes and taken on many hours of work during their time with us. They have helped us to become the company that we are and through their hard work, we are able to take on more clients and replicate our business model throughout the rest of the UK. We asked Max about his thoughts on his promotion, “I’m over the moon to be given the chance to further my career through this progression opportunity. 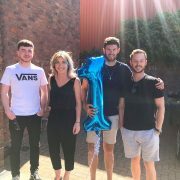 To be a part of a team which holds teamwork and professionalism as two key qualities of work, whilst being able to feel comfortable and enthusiastic about working is something I find extremely special and unique about Get Group UK. This is the motivation for me to give my best for the company and the reason to which I applied for promotion”. Chantelle said “THANK YOU! I am super buzzing about my promotion! 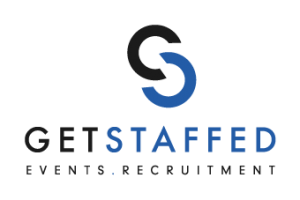 I’m excited to learn more about being an Event Manager, help the company grow and deliver THE BEST hospitality services”. Chantelle’s enthusiasm fills us with excitement.